"The Angry Birds Movie" (pictured) became a breakout animated hit in 2016. 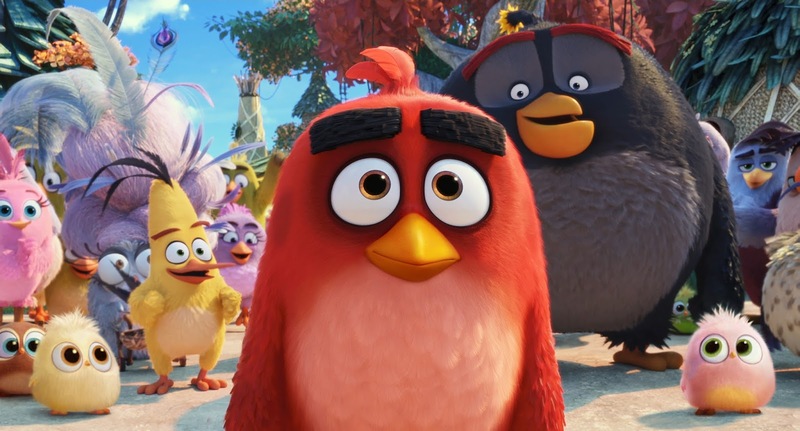 Sony Pictures announced today an all-star cast of new and returning comedy talent in "The Angry Birds Movie 2." As Sony Pictures in association with Rovio Entertainment once again join forces on The Angry Birds Movie 2, the filmmakers have brought together a hilarious all-star cast of new and returning talent for the flightless birds and scheming green pigs as they take their beef to the next level. The Angry Birds Movie 2 is slated to fly into theaters on September 20, 2019.The first film's birds and pigs – including Jason Sudeikis (We're the Millers, Horrible Bosses) as the temperamental Red, Josh Gad (Beauty and the Beast, Frozen, Murder on the Orient Express) as speedy Chuck, Bill Hader (Barry, Trainwreck) as Leonard, king of the pigs, Danny McBride (Vice Principals, This is the End) as the volatile Bomb – are back for more fun, as is Peter Dinklage (Game of Thrones, Avengers: Infinity War, Three Billboards), stentorian voice of the legendary Mighty Eagle.They are joined for the sequel by a host of hilarious actors and comedy stars, including Leslie Jones(Emmy-nominee for Saturday Night Live, Ghostbusters) as the film's villain, Golden Globe-winner Rachel Bloom (Crazy Ex-Girlfriend), Golden Globe and Emmy-winner Sterling K. Brown (This is Us, Black Panther, The People vs. O.J. Simpson), Mexico's comedy superstar Eugenio Derbez (Instructions Not Included, Overboard), Zach Woods (Silicon Valley, The Post), Awkwafina (Oceans 8, Crazy Rich Asians), Lil Rel Howery (Get Out), Dove Cameron (The Descendants, Agents of SHIELD), Beck Bennett (Saturday Night Live, Brigsby Bear) and Brooklynn Prince (The Florida Project) have all signed on to roles. John Cohen, producer of the film said, "I'm thrilled about our incredibly talented filmmaking team and the hilarious people we've brought together for the sequel. We're so happy that Jason, Josh, Bill, Danny, and Peter are back for a second adventure joined by Leslie, Rachel, Sterling, Eugenio and this awesome ensemble of new talent. We'll have many more exciting announcements to share soon." The sequel follows on the success of the global blockbuster The Angry Birds Movie, which opened to #1 in 50 countries worldwide, including the U.S., in May 2016. With $352 million at the global box office, it became the second-highest-grossing video game adaptation of all time. The Angry Birds games have been downloaded over 4 billion times.The Angry Birds Movie 2 is directed by Thurop Van Orman (The Marvelous Misadventures of Flapjack, Adventure Time), co-directed by John Rice (King of the Hill, Rick and Morty), and produced by John Cohen (Despicable Me, The Angry Birds Movie). Mary Ellen Bauder Andrews is co-producing, Sean Charmatz (Trolls) is the head of story, Peter Ackerman (FX's "The Americans," Ice Age) is writing the screenplay, Pete Oswald is the production designer, and Linda Lamontagne is the casting director. David Maisel and Catherine Winder are executive producers. The talented team at Sony Pictures Imageworks handles the animation.